You do have basic, fundamental rights under federal and Florida law when you have been arrested for a crime. You cannot be convicted unless you are proven guilty beyond a reasonable doubt, you have the right to defend yourself in court, and you are protected from illegal search and seizure by government officials – just to name a few. However, you may question how you go about enforcing these constitutional rights. After all, there are very strict rules governing criminal procedure and the criminal court process. If you try to enforce your rights outside the official proceedings, such as through communications with law enforcement, you can be sure things will not go your way. The answer is motion practice, which is covered by the Florida Rules of Criminal Procedure and various rules of county courts in the state. 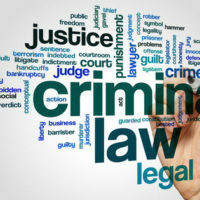 Some additional information may be useful, though you should discuss your case with a skilled criminal defense lawyer. A motion is a party’s request to the court to address or make a decision on an issue in a criminal case. Both prosecutors and defendants can file a motion by going through the proper procedures. Under certain circumstances, a motion can be raised in open court, on the fly. In other situations, it is necessary to file motion forms along with supporting documents. The opposing side will have a chance to respond to the issues raised by the motion, either orally or in writing. How do pre-trial motions work? Other grounds based upon the details of your case. When can a motion be raised at trial? To raise an affirmative defense, where you do not deny that you engaged in criminal activity but are seeking to justify your conduct. For instance, you may allege that you acted in self-defense, by necessity, or due to entrapment by police. To contest the sufficiency of the evidence, when you assert that the prosecuting attorney has not met the burden to prove you guilty beyond a reasonable doubt. When certain evidence is not admissible, the prosecutor’s case against you may be weakened and the charges may be dismissed. If you were arrested, you have many different rights under Florida and federal law. However, you may not be able to enforce them without engaging in motion practice. Pre-trial and trial motions are extremely complex, both by law and under court criminal procedural rules. It is essential to retain a lawyer to assist, so please contact attorney Kevin J. Kulik about your case. We can review your legal remedies after conducting a free consultation at our Fort Lauderdale, FL office.